Happy Wednesday and thank you for stopping by today! Let's get right to it and talk about skin care and how to keep our faces clean and acne free. Did you know that June is acne awareness month?! I just found out too and I'm doing everything to keep the acne away! Clarisonic gave me the Clarisonic Mia 1 to try for a product review for my blog. I have been using it for the last two weeks and I absolutely love it! My skin has never been so clean, soft, and radiant. I have had a glow and it's not the Florida humidity, Lol! They also gave me the Acne Head Brush, which I can switch back and forth between that and the regular cleansing brush. This device has really helped my acne, yes I have adult acne and I think partly it's because makeup doesn't fully wash off of my face with regular washing. 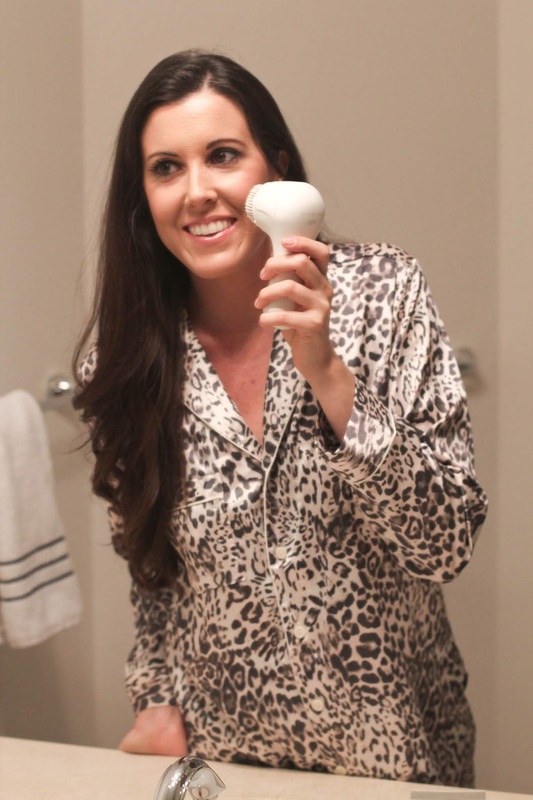 That problem has been solved with the Clarisonic Mia 1, it really gets all of the makeup and dirt off my face, because it cleans makeup off six times better than just with hands! My skin is a lot smoother and I noticed that blemishes have gone away too, less redness on my face. I like using the acne brush at night to really get all of the makeup and dirt off and the regular brush in the morning to give me a nice glow for the rest of the day. I also want to share that it is so easy to use. I wet the brush, add cleanser ( they also sent me the pore and blemish gel cleanser, which works very well for acne ), and then move it in circles all over your face for a few minutes. Super easy and effective! Whenever I just use my hands I notice that the makeup doesn't always come off and sometimes I have to wash my face twice, which then just dries out my skin. 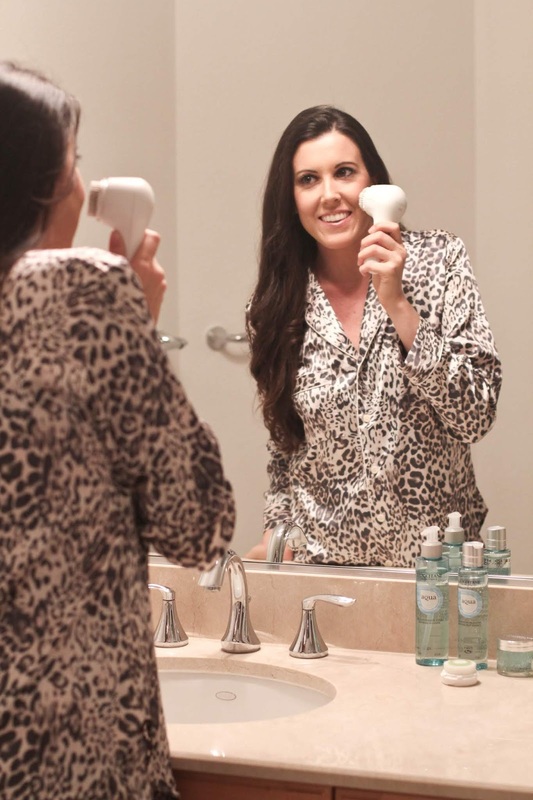 With the Clarisonic Mia 1, all of the makeup and dirt came off so easy and it literally felt like I was getting a facial everyday! It's light and portable, so very easy to travel with too. I highly recommend this product for anyone who wants clear radiant skin! And guess what?! Her Campus Community is giving 15% off to my readers with code HERCAMPUS. Here is the link, http://bit.ly/2KAcEkT . Little Pink Dress - Under $40! First off this pink dress is perfect for us Florida girls and secondly this dress is only $34.99, but I actually found it in the store for only $18!! I know, right? Such a steal! I'm so excited to put this one on repeat all summer long. I found this perfect little red dress for summer, this dress makes me want to dance! It's also under $70 and will be perfect for so many occasions. 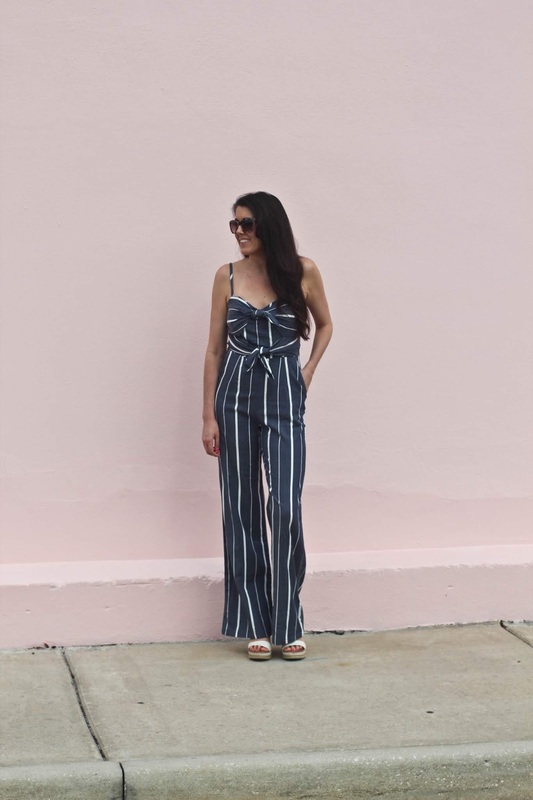 Attention tall chicks: this jumpsuit is everything you've been looking for. I seriously have the hardest time finding rompers and jumpsuits to fit me because I'm 5'9 and all legs. 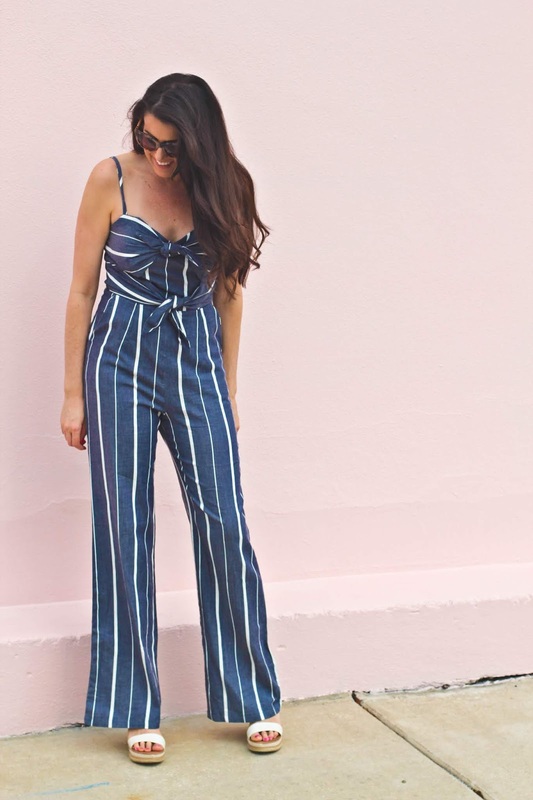 I saw this jumpsuit a few weeks ago, and noticed it looked long on the hanger, which has been deceiving to me before. But lo and behold it was long and the perfect fit! 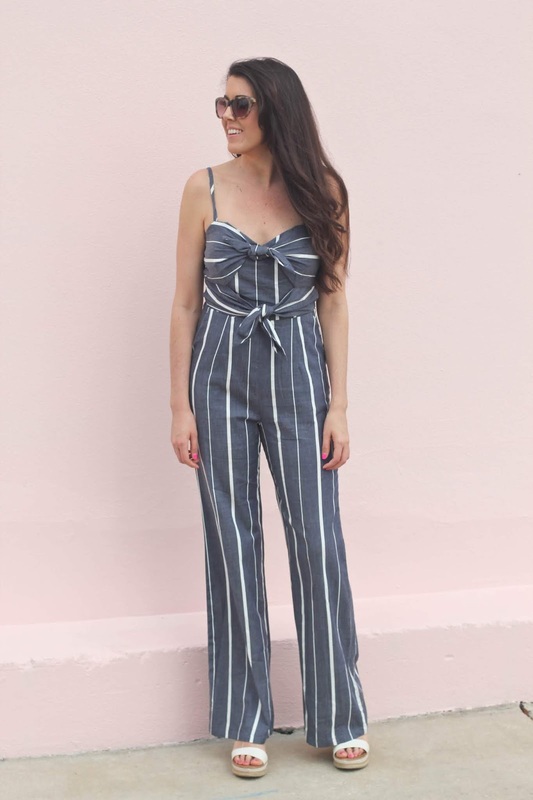 The stripes make it so flattering and it has pockets, win-win situation. I'm also loving this brand, Socialite, they have some super cute stuff for summer and it's reasonably priced. Comment below and let me know if there any other must-have items for summer.